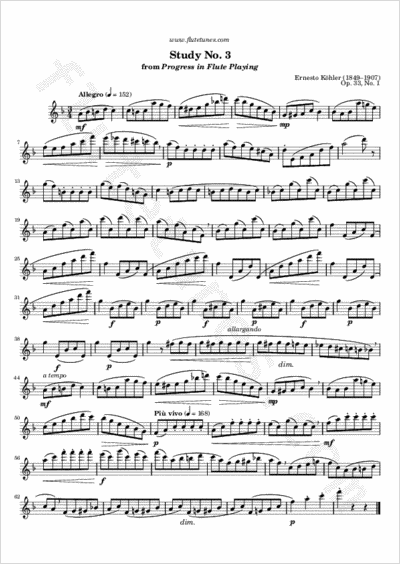 Here is another étude from the first of the three books which make up Ernesto Köhler's “Der Fortschritt Im Flötenspiel”, Op. 33. This one is in F major, 3/4 time. It starts out with a melodic theme, but soon begins to play with intervals and arpeggios. After a brief restatement of the initial theme, the piece ends with a short coda marked “Più vivo”, which can be translated as “more lively”.